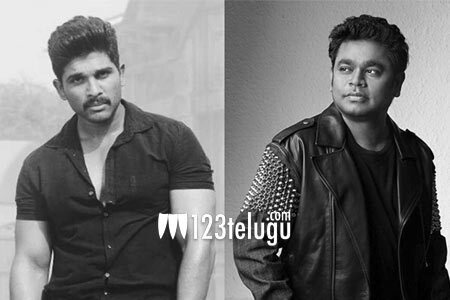 Will this dream combo materialize for Allu Arjun’s Tamil debut? By now, it’s well-known that Allu Arjun is going to make his foray into Kollywood with a high-budgeted Tamil-Telugu bilingual action thriller in Lingusamy’s direction. This highly-anticipated biggie will be launched in early summer next year. Now, there has been an interesting speculation around this project since yesterday. The buzz has it that Oscar-winning composer AR Rahman may be scoring the soundtrack for Bunny’s Tamil debut. However, this is merely a speculation and we will have to wait until next year to know if this dream combo will materialize eventually. If at all Rahman signs the project, there will be no exaggeration in saying that his electrifying music coupled with the Stylish Star’s dance moves will leave their fans thrilled.